Whether making fresh baked bread for the week, or a Victoria Sponge for a special occasion, baking was always enjoyed by the whole family. Lots of work to be done, to get the mixture and timings just right and ensure a good rise. After discovering that as people’s dementia progresses they struggle to pick puzzle pieces up and place them in the correct place, which caused frustration. We wanted to design a product with no wrong answer that gives that same sense of achievement. This Creative Scenes™ set enables people to create their own baking cupboard using a set of magnetic pieces. 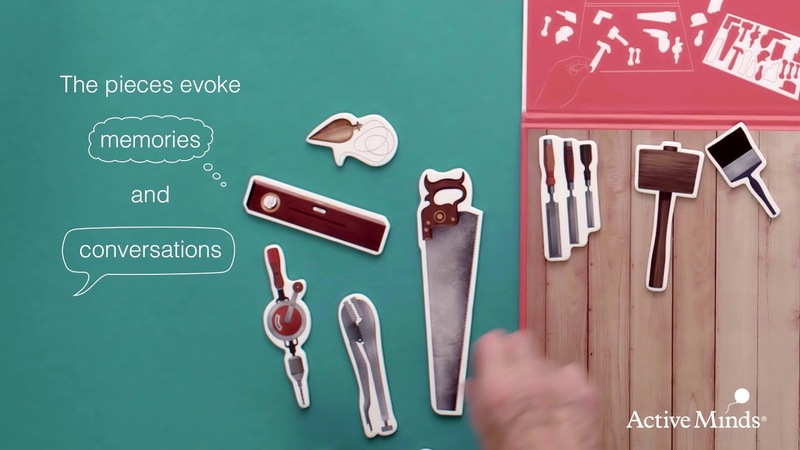 Each magnetic tool can be picked up and placed on the background wherever they choose, creating their very own baking cupboard. Each Creative Scene™ set has beautifully illustrated content, commissioned to ensure they are reminiscent of the appropriate era so people can relate to them and start conversations. The plastic we use is very durable and easy to clean, meeting infection control standards.